Above: Contributed photos of resident street cleaners and happy Little Leaguers inspired me to share their images and more. Instead of another news roundup, I’m rounding up images of residents this spring. Images cover community volunteerism, young athletes, special school events, a senior outing and party and fundraising fun. Some were contributed. Others I tracked down through social media. Rather than posting all of the photos directly, I shared most through embedded Facebook albums. You can click links below to open those. Now, here’s a look back at earlier this spring in town, starting with the most recent events. 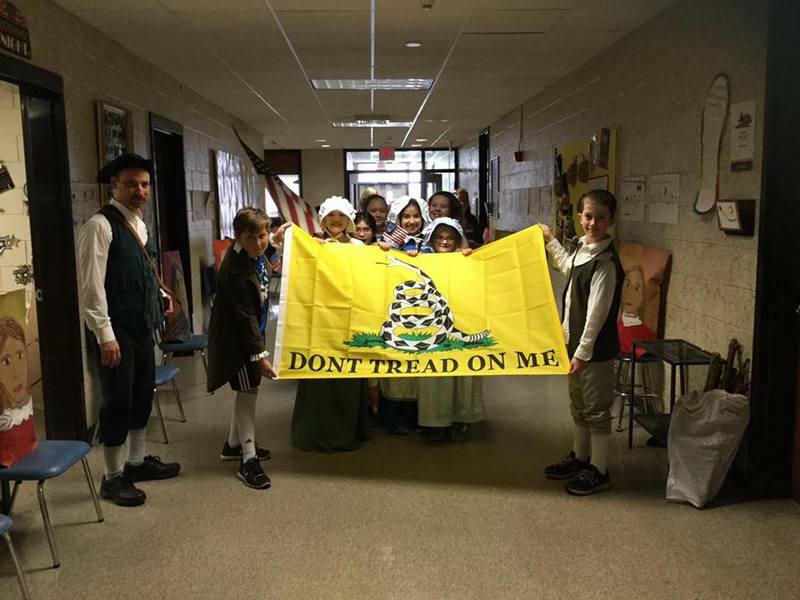 A week before that, 5th graders dove into history through Neary’s annual Colonial Day celebration. Prior to posting a photo from the fun (right) they posted a video previewing the 5th grade band practicing for the day’s parade. In between, the Senior Center offered a bus trip to Wright’s Chicken Farm. Judging by the pictures, travelers got into the spirit. Spirits were also clearly high at the Senior Center’s St. Patty’s Day celebration a few weeks earlier. Have other community fun to share? Send in your own pics or a link to mysouthborough@gmail.com.